All horses are fed premium Thrive Feed which we ship in from Texas. Thrive is an all natural non-GMO horse feed. Our hay is premium quality grown in North Georgia by Hardin Hay Farm. 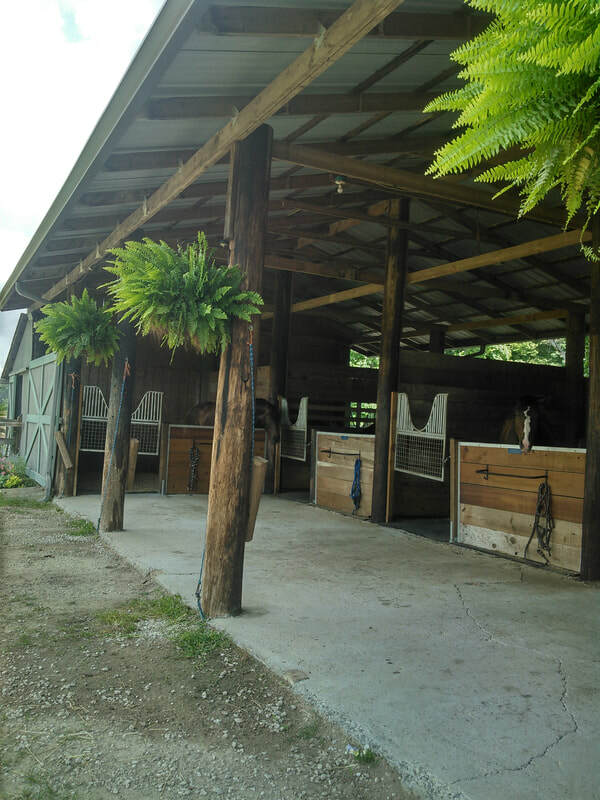 We consistently have bermuda, orchard, and alfalfa hay square and round bales for the horses. ​Boarders must be enrolled in a lesson package.